What do you train for? In the end of the day, achieving desired results is the best reward an athlete can get. When exposed to a strict training regime, the bones and joints in our body may get weary. If you’re a professional bodybuilder or sportsmen, you sure know what we’re talking about. Joint health is a product used to repair bone structure, especially in the joints. Joint health product is similar to protein supplement for muscles. Good joint support products contain chondroitin, MSM and glucosamine. In addition to repairing bones, such elements help prevent future diseases, including arthritis. 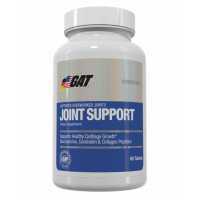 GAT Joint Support Premium athlete formula featuring Glucosamine and Chondroitin to help build and strengthen cartilage and cushion joints in order to help body builders achieve peak performance. includes Collagen peptides plus other lubricat..
ElastiJoint Joint Support Formula by Labrada Nutrition is designed for active people who have joint stress, experience joint stiffness due to the natural aging process, or for people who want to do all they can to maintain flexibility. Using Elast..
Nutrabio Extreme Joint care is packed with highly effective and chosen efficient patented active ingredients. It comes in the form of vegetable capsule which are intended for use as a dietary supplement. 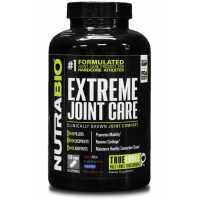 Nutrabio Extreme Joint Care promises effect..
Universal Nutrition Animal FlexUnlike other joint health supplements, you only need to take a single daily dose of Universal Nutrition Animal Flex for optimum joint support. 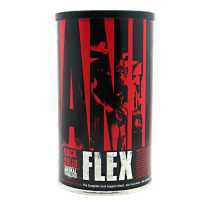 Animal Flex's formula features three core complexes designed specifically..